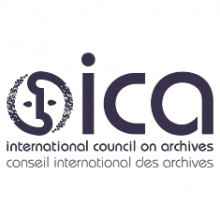 The International Council on Archives (ICA), through the Section on Sport Archives (SPO), aims to make governments and the public aware of the need to preserve and conserve archives belonging to all the individuals, public and private institutions, associations and other organisations linked to the world of sport. The ICA’s activities, through ICA / SPO, are intended to raise awareness in society of the need to organise, preserve, disseminate and facilitate access to documentation and information produced by associations, clubs, federations, sports organisations and athletes, since they play a fundamental role in configuring the personal and collective memory of the world of sport and of society itself. The complex management of the world of sport has many links with other professionals, such as those involved in health, journalism and the media, history, archive studies, political science, legislation, economics, philosophy, the sciences of physical activity, and sports and engineering, among other fields. Student athletics, Veria Public Library, American Farm School of Thessaloniki Historical Archives, Public Domain via Europeana. With a view to achieving the above aims, the ICA / SPO, Girona City Council and the Diputació de Girona are promoting a biennial seminar on sport archives in Girona. 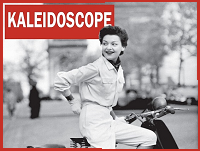 In this first edition 9th October 2018 we want to present the vision of nine professionals with outstanding experience linked to sport within their own disciplines: sport, history, journalism, health, and archive – document management. These professionals will contribute their own understanding of the role of sport in society at all levels, as an element transmitting values, integration, change and a desire for achievement, thus enabling others to appreciate its importance. They will thus be a channel of communication that is capable of motivating others and promoting the objectives of ICA / SPO in society, emphasising the need to organise, preserve, disseminate and facilitate access to archives linked to the world of sport. Their contribution to the seminar will be geared to raising awareness among all those involved in the world of sport (clubs, federations and national and international organizations, companies, sponsors, doctors, physiotherapists, journalists, historians, archivists, engineers, referees, coaches, teachers, etc.) of the importance of preserving documents that make up an essential part of a country’s collective memory. Their presentations will highlight the ways in which they manage, use and exploit the documentation and information they have accumulated personally and professionally over the years. PREFORMA was presented to the almost 1000 attendees in one of the parallel sessions in the afternoon of Monday 13th of October by Antonella Fresa, Technical Coordinator, and Peter Pharow, Responsible of the first design phase. Girona City Council, through its Municipal Archive, is hosting and organizing the 2nd Annual Conference of the International Council on Archives, which will be held in October 2014, as approved by the General Assembly of the International Council on Archives, which met on the 24th of August 2012 in the Australian city of Brisbane.